Excursions in the well-being: the thermal baths. but it can be said that most evocative and several of the same ones it is just here, in the Val d’ Orcia: strengthening streams, warm water coves and cascades. 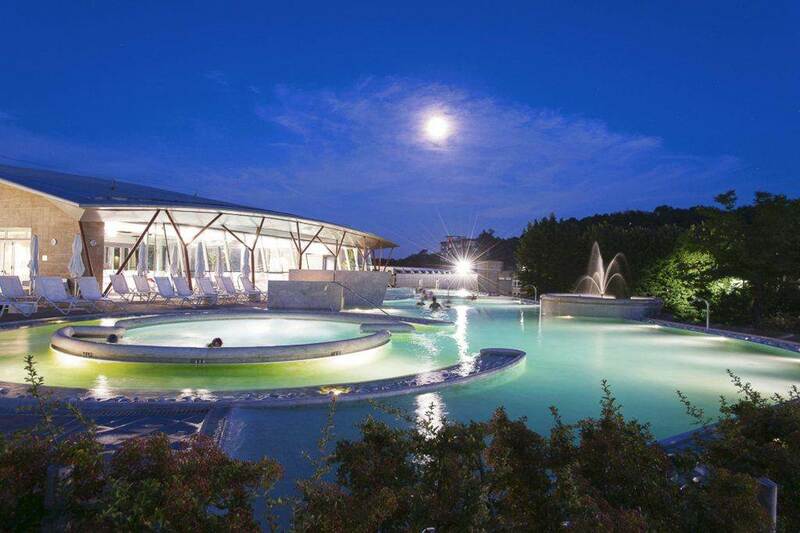 The Terme is by now the new ones templi of the health in Tuscany, where to the natural beauty of the places renewed tourist structures join. Charming places where the nature answers to the need of health and well-being. One of the most important terme than Siena is Baths S. Filippo, than it is found in the common one of Castiglione D’ Orcia. 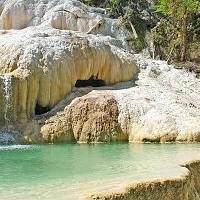 In the small they of the Rondinaia torrent goes, gushes, from cliffs of travertino, soccer rich sulphureous thermal carbonate waters. The waters of S. Filippo from the second half of the 1600 had a period of notoriety; this happened when the Granduca Ferdinand II was become ill of cefalea. It is alone thanks to the beneficial property of these waters that the Duca recovered; and in sign of gratefulness reclamizzò this locality. 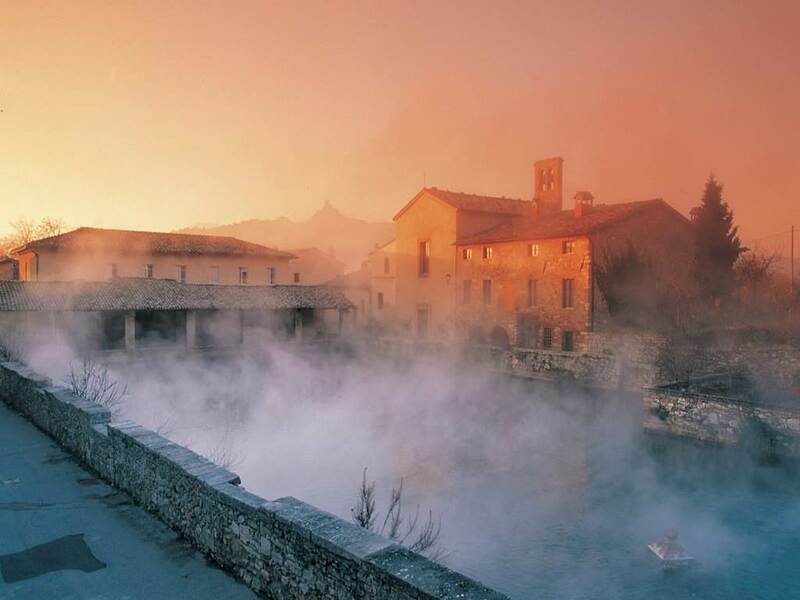 Characteristic of Vignoni Bath, beyond to its thermal waters, is its structure, remained unchanged in the time, the public square of the country in fact, is not like can be imagined in the other places, but it is made of hot water, that it gushes out to 52°. The bathtub of thermal waters is in fact to the center of the public square, sluice on three sides from one encircled of walls high approximately a meter and means, around some buildings, realize to you from Bernardo Rossellino in Devout honor to II. The thermal locality already was used from the Etruschi and from the Roman, it was attended, between the others, from Lorenzo the Magnificent one and Pope Pio II Piccolomini that, in the half of 1400, it made to construct one villa you today transformed in hotel. Chianciano, citizen of ancient origins, to 550 m. above sea level alloy its reputation to the curative property of its natural sources, notes sin from the age Etruscan-Roman. Chianciano offers to all the climatic advantages tourist us and deriving from its geographic position, encircled from wooded hills of oaks, faggi, lecci and chestnut trees. 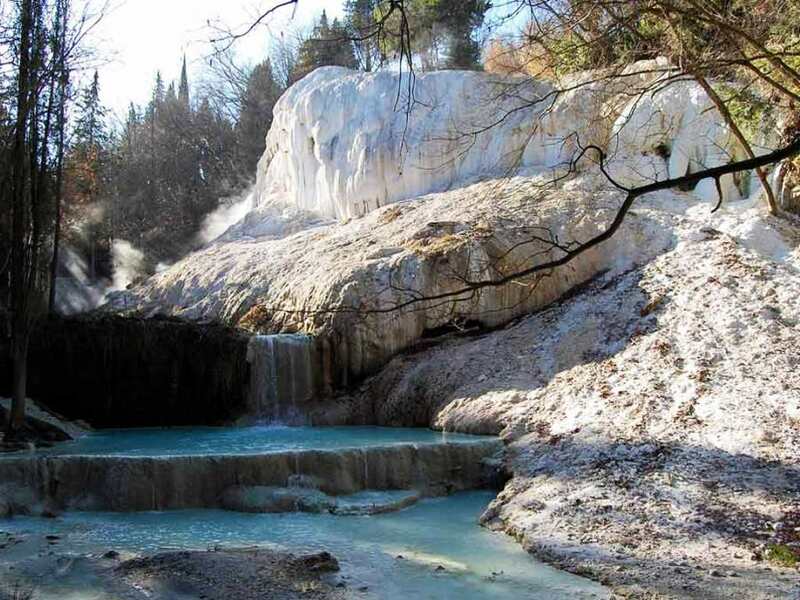 Chianciano is the richest thermal mineral water center to curative action and it today places between the more important thermal stations of Europe with its waters, the great parks and most numerous and the modern ones it lodges. Graceful and laughing from Tuscany village with a beautifulst Medieval Castle to 600 m. above sea level, to the slopes of Monte Cetona. The thermal locality is dipped in the green of the forests of oaks and chestnut trees. In this frame 42 rich water sources gush of know them mineral, solfate, calcic, magnesiache, fluorurate.